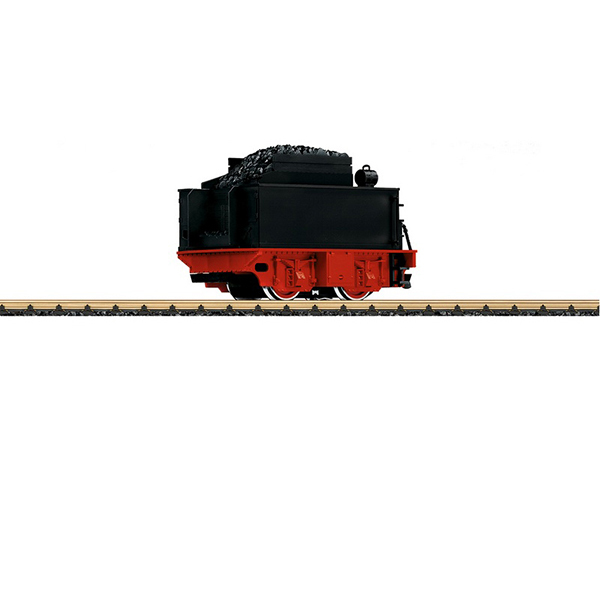 Product: This tender can be used to equip the locomotives from most of the LGB starter sets with additional sound and at the same time increase the pulling power. The sounds of steam exhaust and – activated by track magnets – the whistle and bell can be reproduced by means of the built-in electronic circuit. The tender is only designed for analog operation, and the volume can be set with the built-in potentiometer. A track magnet for activating the bell and whistle and a sheet of stickers for customizing the tender are included. Length over the buffers 22 cm / 8-5/8".